Our Academy membership gives you access to a growing library of training videos suitable for all levels, from first time horse owners to professional trainers. Plus you’ll have access to live Q&A sessions with Maddy and our private Facebook group! With new videos added each month, a closed Facebook group to build community and support with fellow members and live Q&A sessions with Maddy, the membership is the best way to receive ongoing support for the lowest cost. Videos cover a variety of topics including an introduction to the 5 Golden Rules, lectures on equine behavior, on-line groundwork exercises, introducing and advancing liberty with your horse, colt starting, riding exercises, bridleless riding, trick training, problem-solving, and more! WANT TO TRY OUR MEMBERSHIP? WE OFFER A 14-DAY TRIAL FOR JUST $1! The Mustang Maddy Academy membership gives you access to over 150 unedited training videos. The Academy’s extensive library is organized so that you can easily search for videos on specific topics. When you are a member of The Academy, you will also have access to a private Facebook page where I post ongoing training videos and hosts live Q&A with the members! Can I try the membership before I sign up? If you would like to try our membership we offer a 14-day trial for just $1. Simply cancel at the end of your 14-days or continue enjoying the benefits of your membership and you will automatically be enrolled in the monthly plan. What is the difference between the membership and The 5 GR course? The membership provides a wide variety of videos on various topics, designed to help answer your general questions and give you tips, tricks, and advice. Membership also gives you access to Q&A sessions with Maddy and a private Facebook group. 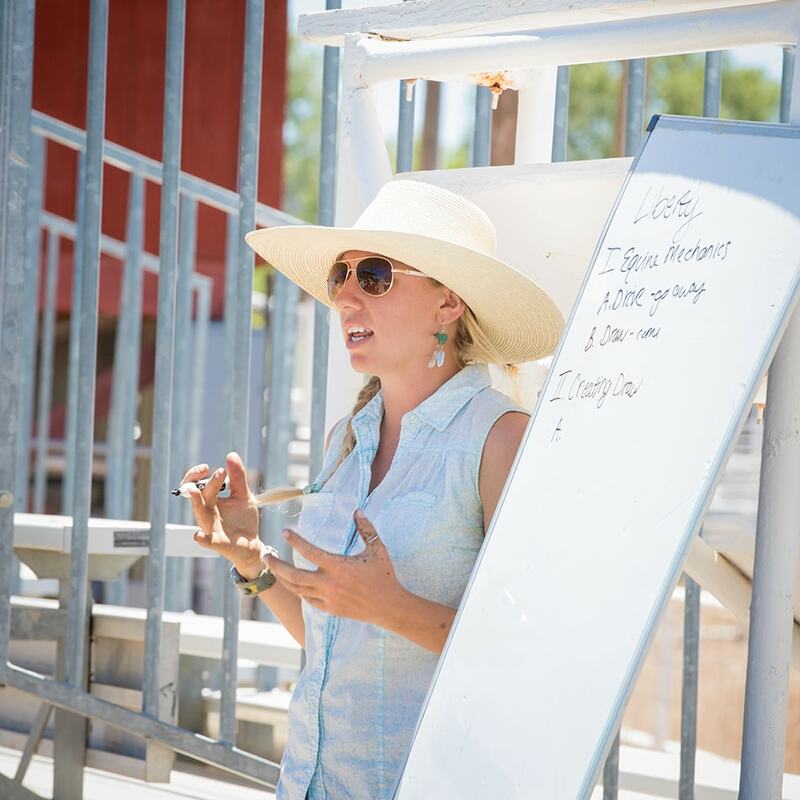 The courses, such as the 5 Golden Rules course, are designed to be a deeper dive into specific topics intended to give you in-depth information similar to if you were attending a clinic in person. We plan to expand our course offerings so continue to check back to see what’s new. I am looking for a video on "XYZ" in the library and I can't find anything. I offer a variety of categories and tags to search for video topics. However, if you still can’t find a video that applies to your situation, be sure to mention your needs in the next Q&A and I will do my best to either answer the question or make a video sometime in the future that helps give you the information you need. Also be on the lookout for posts I make asking for video requests. I’ll always ask you guys what you want to see before doing another round of videoing as I want to be sure to do my best to meet all our member’s needs. I hope this helps! Thanks again for your support! Help! I can't log in to the membership site. If you are experiencing technical difficulties and can not log in, submit a help request and we will respond as soon as possible. In the meantime, check our home page to make sure it is not a scheduled outage. We do occasionally perform maintenance, however, we will always let you know ahead of time if the website or membership area will be down for a period of time. We understand our membership program isn’t for everyone. If you would like to cancel your membership you can do so via your member account page or you can contact us and we will do our best to assist you. I was billed after I canceled, can you help? If you cancel your membership via your member account your billing should cease immediately. However, if there is a system glitch or you happen to be charged again please reach out right away. We will be happy to assist you!